Did you know that by using a wood pellet fireplace insert, you’re also supporting recycling? Wood pellets are manufactured using materials of which most are impractical for any other purpose and would normally end up landfills. Wood pellets are manufactured using a combination of manufacturing by-products, such as sawdust, wood chips, bark, agricultural crop waste, waste paper and a variety of other. In the Ottawa Carleton area, heating your home with Electricity, Propane or Oil can be very costly, and prices can fluctuate unpredictably. Installing a Pellet Insert can reduce home heating costs substantially. 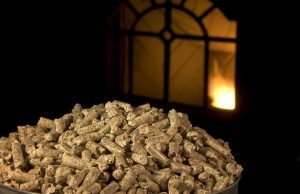 Alternative fuels like wood or wood pellets can be a cost effective way to save money on home heating. Wood pellet heating is a good alternative to cord wood. A Pellet burning insert or pellet stove can operate on a thermostat and have hoppers that feed the wood pellet fuel at a rate required to heat your home. In many cases, a pellet fireplace insert or stove can operate for several days on one load, and depending on how cold it is. A wood pellet burning fireplace insert will transform that old fireplace into an efficient heater to keep that room warm and toasty, but pellet heating systems are also available as an add on to an existing furnace or a complete stand alone replacement, integrated into the central heating ductwork system. Contact us today, and our experts can guide you through the choices and of your new pellet fireplace insert installation. Best of all, you can start saving today with Easy Monthly Payments.